Want to add a little flavor to your New Year’s Eve plans? 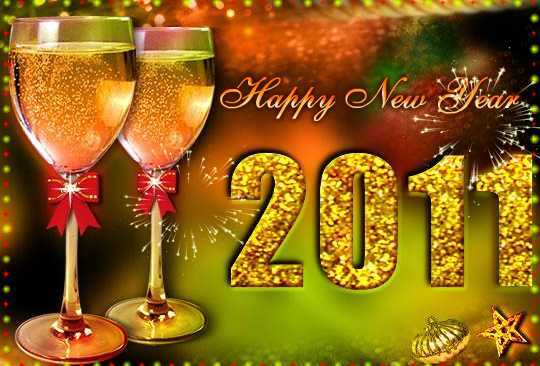 Come to Guanajuato (73 Green Bay Rd., Glencoe, Ill.) and toast 2011 with a shot of tequila! A perfect evening for any tequila lover, Guanajuato features blanco, reposado, anejo, and specialty tequilas. With more than 40 types from which to choose such as Azunia Platinum Blanco, Hornitos Reposado, Patron Anejo, Don Julio 1942 and more, Guanajuato offers a special and exotic way to spend New Year’s Eve. Ole! Guanajuato will offer a special four-course menu for New Years Eve. Enjoy your choice of appetizer, salad, entrée, and dessert while listening to live music. Also included with the special four-course menu are wine pairings as well as champagne for that special midnight toast, $85 per person (plus tax and gratuity). Guests may also choose to order off the regular menu with dishes ranging from $15-30. Join Guanajuato with a date or with your family, they’re kid friendly. 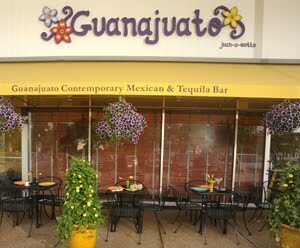 Guanajuato is a contemporary Mexican restaurant located at 73 Green Bay Rd. in Glencoe, Ill. The restaurant is open for lunch and dinner 11 a.m. to 10 p.m. seven days per week. The bar is open Monday through Wednesday, 4 p.m. to 10 p.m.; Friday, 4 p.m. to midnight; Saturday, Noon to Midnight; and Sunday, Noon to 10 p.m. For more information or to make a reservation, contact Guanajuato at (847) 242-0909 or online at http://www.myguanajuato.com/. So what can you do differently this coming year, to ensure that you will stick to your resolution? Consider the ancient treatment, acupuncture! Known for its curative powers dating back more than 8,000 years, acupuncture reduces stress, helps people quit smoking and lose weight. “From what I have personally seen, acupuncture curbs cravings and irritability that come along with dieting, ultimately helping with correcting food choices,” says licensed acupuncturist (L.Ac. ), Kyla Boles of Urban Acupuncture (3020 N. Lincoln Ave., Chicago; (773) 727-5042). It is important to understand how the tiny needles are inserted into the body and how they can help with weight-loss. “People are nervous at the thought of acupuncture needles,” says Kyla. “Acupuncture needles will not send you out of the room screaming.” They are virtually painless, feeling like a slight pinch to ‘I didn’t even know you started.’ Compared to the hollow, hypodermic needles used by doctors, acupuncture needles are very, very thin. In fact, 40 acupuncture needles can fit into the tip of a standard hypodermic needle. Acupuncture steals the show when it comes to stress relief. When the hair-thin needles are inserted into specific points of the body, endorphins are released. Acupuncture creates a calming, relaxing effect, making it easier to deal with everyday stress that is often associated with weight gain. Additionally, those endorphins affect the organ systems related to metabolism and can aid in metabolic and hormonal issues. Of course acupuncture is not the answer alone. Acupuncture should be combined with a committed lifestyle change including healthy eating and a moderate exercise regimen. Urban Acupuncture uses not only acupuncture but also other forms of Oriental Medicine to treat a variety of conditions. Consider yourself in good hands. Kyla's training in acupuncture and Chinese herbology is impressive. She is a Diplomate in Oriental Medicine (Dipl.OM.) and has received a Master of Science in Traditional Oriental Medicine (MSTOM) from one of the most prominent colleges training Oriental Medicine practitioners in the U.S., Pacific College of Oriental Medicine. During the first visit, a thorough health history is taken to get a better understanding of the person. Oriental Medicine focuses on treating the person as a whole rather than just the specific problem. Typical appointments last one hour and should be scheduled weekly for best results. For more information, visit the Urban Acupuncture at http://www.urbanacupuncturechicago.com/ or call (773) 727-5042. Consider a healthy fig-sesame jam recipe to help ease digestion. Simmer sugar and water in a heavy saucepan; stir until sugar is dissolved. Gently stir in figs, zest and lemon juice. Simmer uncovered until thick and syrupy (1 ¾ to 2 hours). Gently add toasted sesame seeds. Recipe adapted from Gourmet Magazine, August 2001. Udon, pork broth flavored with Kombu, soy sauce marinated 5:10 egg, roasted pork belly, King and shiitake mushrooms, fish cake and Nori ($12). Spare Ribs, with rice and pickled veggies, paired with Dogfish Head IPA beer ($12, includes beer). The highly anticipated opening of restaurant veteran George Guggeis’ west suburban venture, Bistro One West, happened last week when the contemporary American restaurant opened for dinner. The restaurant, which sits on the shores of the Fox River in St. Charles, Ill. launches its lunch menu today with lighter fare prepared by Bistro One West’s executive chef, Doug D’Avico. Appetizers include Cow’s Milk Burrata, with roasted tomatoes, EVOO and sea salt ($10); Shaved Roasted Beets, with Nopales salad, pickled jalapeno and feta cheese ($8); Bibb Leaf Salad, roasted tomatoes, herb dressing and fried parsnip; Ancient Sweet Pepper, Dunbarton bleu cheese and applewood smoked bacon ($8); and Grilled Marinated Steak Skewers, roasted onion and bleu cheese dressing ($9). Lunch salad selections feature Fingerling Potatoes, farm egg, roasted asparagus and house greens ($8); Roasted Winter Vegetables, tomatoes, house greens and garlic herb dressing ($8); Sautéed Shrimp, green beans, house greens and lemon olive oil dressing ($10); and Grilled Chicken, oven roasted pears, spinach, red grapes and sherry dressing ($9). Bistro One West lunch entrées include Half-Pound Grilled Burger, ciabatta bread, Hook’s Creamery aged cheddar ($12); BLT, with natural fruit-wood smoked bacon, lettuce, tomatoes and maple-orange aioli ($9); Open-faced Skirt Steak Sandwich, with caramelized onions, roasted garlic and herb cheese ($12); Herb Roasted Seasonal Vegetables, cole slaw, feta, lime cilantro and dressing ($9); and Miller Farms Chicken Salad, arugula, cucumber herbed yogurt and dressing ($9). Kurman Staff At Chicago French Market's First "Bon Anniversaire"
The Kurman Communications staff celebrated Chicago French Market’s (131 N. Clinton St., Chicago) first “Bon Anniversaire” at the VIP reception that was held yesterday evening (Thursday, Dec. 16) at the market. Sebastian Bensidoun, owner of Chicago French Market was on-site from Paris, France to greet and celebrate with attendees including Arlington Heights Mayor/Director of Metra, Arlene Mulder who spoke of her thoughts regarding Chicago French Market during a short opening speech, “My love for France and my love for trains have met,” says Mulder who travels to France every year. Other attendees included U.S. Equities CEO, Bob Wislow; Premium Espression COO, Joerg Oberschmied; Lisle Chamber of Commerce Ambassador, Julie LaFonda; Lisle Chamber of Commerce Board Member, Paula Gleason and French Embassy Trade Office Managing Director, Pierric Bonnard, among many others. Attendees enjoyed champagne, hors d’oeuvres, sweets and a beautiful Croque en Bouche Arch de Triumphe (pictured) created by award-winning Chicago French Market artisan vendor Vanille Patisserie. Attendees also listened to the sounds of smooth jazz by Annalee Hoosen (sonicbids.com/annalee). Chicago French Market continues on with the celebration this weekend. Help celebrate their first “Bon Anniversaire” during the two-day celebration in honor of Chicago’s first year-round, indoor market Friday, Dec. 17 until 7:30 p.m. and Saturday, Dec. 18. Enjoy live music, drawings, and free tastings throughout Chicago French Market. Each day, 1,000 guests will receive a complimentary reusable tote bag, ideal for purchases made at one of the 30 artisan vendors. The market will open at 8:30 a.m. Saturday. Chicago French Market vendors will distribute “scratch off cards” to customers for a chance to win gift certificates for the market. Tomorrow’s (Saturday, Dec. 18) festivities: Santa Claus will be at the market from 11 a.m. to 2 p.m. Enjoy cake cutting and refreshments at 1:30 p.m., and live entertainment from 11 a.m. to 6 p.m. Attendees are in for a treat as the LaSalle Academy Carolers will perform from 1 p.m. to 2 p.m. and two separate $300 gift certificates to L20, a Michelin three-star restaurant will be won in a drawing. Chicago French Market is a European-inspired market offering an array of local produce, meats, seafood, breads, pastries, cheese, wine, chocolates, pastas, artisan-made goods, specialty drinks, flowers, prepared meals and a seating area for customers. Chicago French Market’s diverse group of local vendors stay open year-round, six days per week, and is located within the new MetraMarket development at 131 N. Clinton St. (between Washington and Randolph Streets). For more information, visit http://www.chicagofrenchmarket.com/. Chicago Historians of Chicago (CHC) presents speaker, Robert Launay, PhD, who will be presenting ‘Appetite for Africa’ from 10 a.m. to 1:30 p.m. Saturday, Dec. 18 at Sikia Restaurant (740 W. 63rd St., Chicago), student-run by the Washburne Culinary Institute of Kennedy-King College, to introduce the varieties of West African cooking. Dr. Launay is a Professor of Anthropology and member of the Program of African Studies at Northwestern University. Through his presentation, attendees will learn how Africans have combined native ingredients with imports from Asia and America to develop an overlooked culinary tradition that is distinctive and rich. Dr. Launay’s knowledge can be accredited to the several years he spent in the Ivory Coast living and eating with an African family. Dr. Launay has published two books, several articles about West Africa and descriptions of food in European travel literature. Attendees are encouraged to get there early as seating is limited. To make a reservation for the lecture, please call Dawn McGlone at (630) 620-1457 or e-mail culinary.historians@gmail.com. The morning lecture is $5 for the public, $3 for students and no charge for CHC members. An optional, all inclusive luncheon follows the program at an extra cost of $27. Paid reservations are required for the luncheon. Luncheon reservations may be made online by credit card at www.brownpapertickets.com/event/138070 or by phone at (800) 838-3006. The menu includes savory West African dishes including AKARA (Bean Cake), savory, spicy and rich Jollof Rice (Thiebou Jen), Foofoo (pounded yams served with soup), Goat and Groundnut Stew with peanuts, Fish with Attieki (fermented manioc), and Mafe hakoo (beef stewed with cassava or potato leaves). Luncheon dishes are paired with wines. For more information, please e-mail culinary.historians@gmail.com or call (847) 432-8255. This is part of Kurman Communications’ Free Release Tuesday series. Are you a non-profit or charity with an upcoming event? Let us help promote it with our new service, FRT-Free Release Tuesdays. What is it? All you have to do is send us news on your upcoming event, including the details—date/time, location, images, a link to a website, etc. We’ll pick out top selections and post them on our highly-read blog! Got Buzz receives thousands of page views monthly by consumers and journalists who are looking for things to do, and content to feature. KCI is pleased to help you spread the news! Send all materials to kurmanstaff@kurman.com, and remember to follow us on Twitter @kurmanstaff. George Guggeis, a restaurant industry veteran with more than three decades of experience, is proud to launch a new restaurant, Bistro One West, along the shores of the Fox River in Chicago’s western suburbs. Bistro One West, opening in St. Charles, Ill. December 14, features fresh American cuisine by another culinary expert, Doug D’Avico, formerly of Trattoria No. 10. Of course, Guggeis settled for nothing but the best when it came to selecting an executive chef for his new restaurant. D’Avico himself boasts more than 20 years of experience in the kitchen having been professionally trained at the Culinary Institute of America before helming numerous kitchens. The menu includes a number of appetizers and entrée selections, and will offer sandwiches for lighter options on the riverside deck in the spring and summer. Starters include White Polenta with Crispy Pork Belly with red mole and heirloom radishes ($10); Shaved Roasted Beets with Nopales salad, pickled jalapeno with feta cheese ($8); Jumbo Prawns with garlic, chili threads, shallots and grilled ciabatta ($12); and Deviled Eggs with Maine lobster salad ($12). The entrée selections feature Berkshire Pork Cutlets, spicy snap peas and roasted corn pudding ($20); Organic Irish Salmon with roasted cauliflower, applewood smoked bacon and mint ($18); Herb Roasted Amish Chicken with roasted carrots, lemon, cinnamon and pearl onions ($17); Braised Veal Short Ribs with caramelized onion relish and natural reductions ($21); Lake Superior Walleye Pike with radicchio coleslaw, shitake mushrooms, green onion butter sauce ($19); and Roasted Poblano Pepper with spicy lentils, red shallots, spinach, feta and tomato ($18). Bistro One West offers sandwiches during the warm months on its outdoor riverside patio. Dessert features a number of selections, including Caramelized Roasted Banana, baked cinnamon wonton and Nutella cream ($7); Chocolate pot e Crème, roasted pumpkin seed brittle ($7); Bread and Butter Pudding with poached berry compote ($6); and French Butter Cookies, with lemon curd, raspberry jam and chocolate sauce ($7). Bistro One West also offers an expansive all American wine list with more than 100 selections. Open for lunch and dinner Tuesday through Saturday, Bistro One West offers affordable dining with lunch averaging $12 per person, and dinner $25 per person. The restaurant has a 66-seat main dining room with 30 seats at the bar. Private dining space is also available, with an additional 70 to 90 seats. During the warm months, Bistro One West opens its 60-seat riverside patio which will also feature live music. The interior, designed by Vicky Tesmer of Tres Jolie Art, Inc., offers an inviting dining experience with dark woods and exposed bricks. The converted factory building has a “loft-feel” that is “woodsy, yet modern” according to Tesmer. 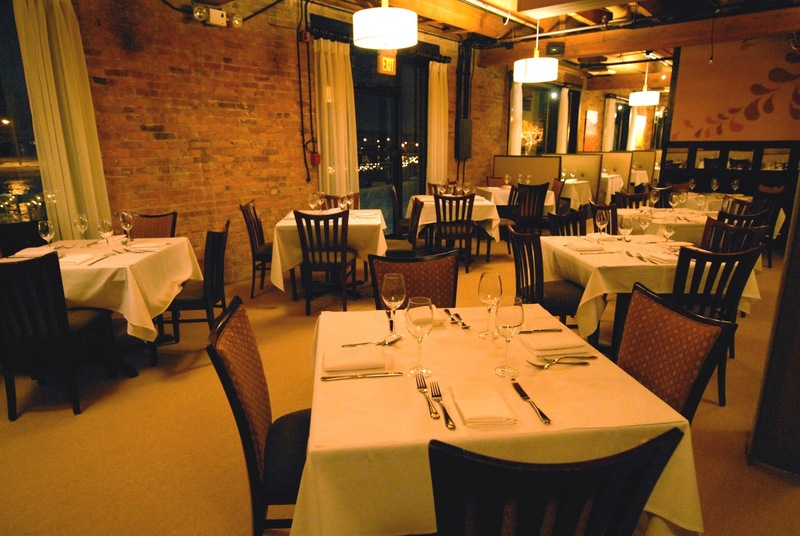 The comfortable, clean environment is ideal for friends, family and business dining. 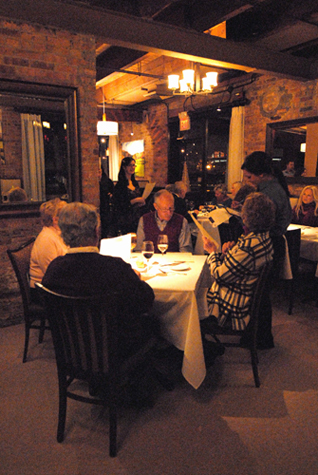 Bistro One West is a contemporary fresh American Restaurant located at 1 W. Illinois St. in St. Charles, Ill. The restaurant is open for lunch Tuesday through Saturday, 11 a.m. to 2 p.m. Dinner hours are Tuesday through Thursday, 5 p.m. to 9 p.m.; Friday and Saturday, 5 p.m. to 10 p.m. The dining room bar is open from 11 a.m. to close. The restaurant is closed Sunday and Monday. For more information, contact Bistro One West at (630) 444-0600 or visit http://www.bistro1west.com/. Follow Bistro One West on Twitter at @Bistro1West, or "like" them on Facebook. Saigon Sisters is having a special New Year's Eve prix-fixe four-course tasting menu for $49 with wine pairing for an additional $25. The restaurant will be open until 2 a.m. with seating beginning at 5:00 p.m. Appetizer options include: Tuna Spring Rolls with togorashi; Lemongrass Butter Poached Lobster Tail with chestnut and pickled ginger; Canh Chua a sweet and sour soup with pineapple, tamarind and okra; and Hoison Glazed Quail with red rice. Entrees options include: Anise Smoked Duck with honey miso scallops, beet, persimmon and pear; Five Spice Veal Chop with opo squash, mustard greens and candied walnuts; Smoked Tofu with a blood orange glaze, garlic noodles, stir fry Chinese celery and shallots; and Sturgeon with red kuri squash broth. Dessert is a Vietnamese Che Tri Color. Saigon Sisters’ Che was recently named as one of the “100 Best Things we ate this year” by Time Out Chicago. Saigon Sisters will be closed Christmas Eve, Christmas Day and New Year's Day. Saigon Sisters is a contemporary Vietnamese restaurant located at 567 W. Lake St. in Chicago, IL. The restaurant is open for lunch and late lunch 10 a.m. to 4 p.m. Monday through Friday; dinner 5 p.m. to 10 p.m. Monday through Thursday; and dinner and late-night service 5 p.m. to 1 a.m. Friday and Saturday. The restaurant is closed on Sunday. For more information, contact Saigon Sisters at (312) 496-0090 or online at http://www.saigonsisters.com/. 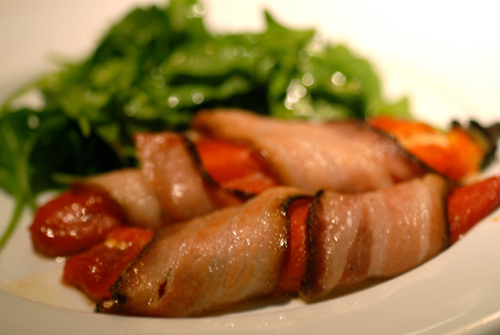 Bella Bacinos is offering three ways to spend your New Year’s Eve! 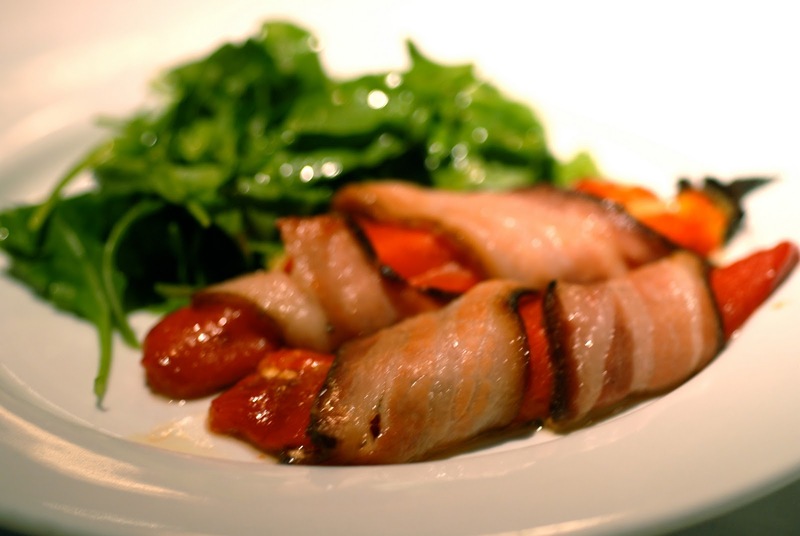 Bella Bacinos is offering their regular early seating, as well as an in-house package and a catering package. Bella Bacinos’ regular seating offers the New Year’s Eve Special Menu ala carte along side their regular menu until 7:30 p.m. Seating begins at 8 p.m. for the in-house package, which includes the New Year’s Eve Special Menu for $75 per person (plus tax and gratuity) and an optional wine pairing. In-house package guests will also enjoy a performance by pianist David Scott Crawford from The Redhead Piano Bar, as well as a champagne toast to begin the evening festivities, one at midnight, and party favors. The special four-course menu will feature entrees such as the Hand-made Lobster Ravioli, Braised Halibut and Wood-Oven roasted New Zealand Lamb Shank among others. 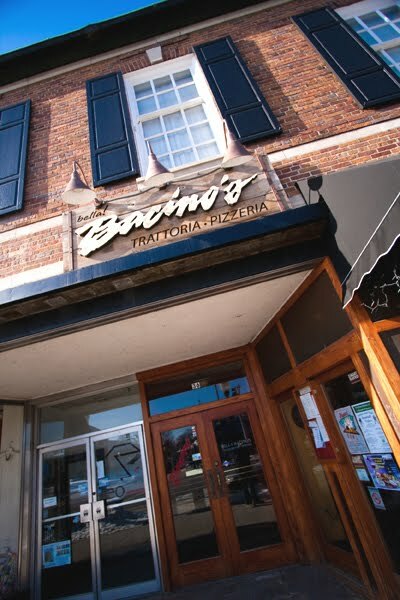 For those looking for a more intimate New Year’s Eve, Bella Bacinos offers their catered dinner. Tailored for your needs, this package includes dinner to serve parties of 2 to twenty, party favors, bubbly and a CD from The Redhead Piano Bar. Call for pricing. Bella Bacinos will close Christmas Eve at 5 p.m. and be closed Christmas Day and New Year’s Day. The restaurant is located at 36 S. La Grange Rd., Downtown La Grange, Ill. and is open 11:30 a.m. to 9 p.m. Tuesday through Thursday, 11:30 a.m. to 10 p.m. Friday and Saturday, 11:30 a.m. to 9 p.m. Sunday, and is closed Monday for private events. For private events, please call Dan Bacin (708) 352-8882. For more information, visit http://www.bacinos.com/. Bistro One West (officially opening December 14) is open 5 p.m. to midnight on New Year’s Eve. Guests may order from the regular menu, or from the four-course prix-fixe menu all evening. The prix fixe menu is $100 plus tax and gratuity and includes a bottle of champagne of the restaurant’s choice. Bistro One West is closed Christmas Eve, Christmas Day and New Year’s Day. 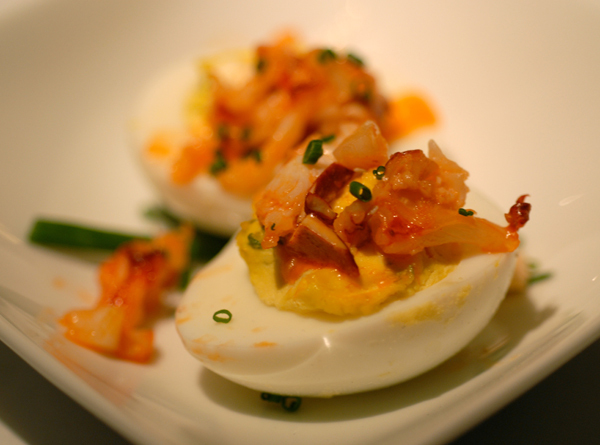 Bistro One West is a contemporary fresh American Restaurant located at 1 W. Illinois St. in St. Charles, Ill. The restaurant is open for lunch Tuesday through Saturday, 11 a.m. to 2 p.m. Dinner hours are Tuesday through Thursday, 5 p.m. to 9 p.m.; Friday and Saturday, 5 p.m. to 10 p.m. The dining room bar is open from 11 a.m. to close. The restaurant is closed Sunday and Monday. For more information, contact Bistro One West at (630) 444-0600 or visit http://www.bistro1west.com/. Follow Bistro One West on Twitter at @Bistro1West. Guanajuato will be closed on Christmas Day. Guanajuato is a contemporary Mexican restaurant located at 73 Green Bay Rd. in Glencoe, Ill. The restaurant is open for lunch and dinner 11 a.m. to 10 p.m. seven days per week. The bar is open Monday through Wednesday, 4 p.m. to 10 p.m.; Friday, 4 p.m. to midnight; Saturday, Noon to Midnight; and Sunday, Noon to 10 p.m. For more information or to make a reservation, contact Guanajuato at (847) 242-0501 or online at http://www.myguanajuato.com/. Kelly Beyer, Operating Partner for Fleming’s Prime Steakhouse & Wine Bar in Lincolnshire; and Chris Auld, Managing Partner for Roy’s Hawaiian Fusion Cuisine in Chicago recently completed a trip to Afghanistan and Kyrgyzstan as volunteers with Operation Feeding Freedom VIII, an annual mission sponsored by OSI Restaurant Partners, LLC. Beyer and Auld from the Chicago area joined 26 other OSI volunteers from around the country who brought United States and Coalition Forces a taste of home. 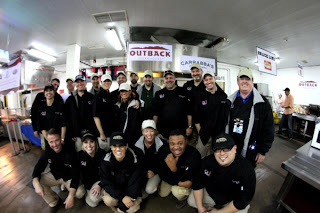 This year’s trip represented the largest feeding of the troops to date by OSI and involved volunteers from all five of the Company’s brands: Outback Steakhouse, Carrabba’s Italian Grill, Bonefish Grill, Fleming’s Prime Steakhouse & Wine Bar, and Roy’s Hawaiian Fusion Cuisine. 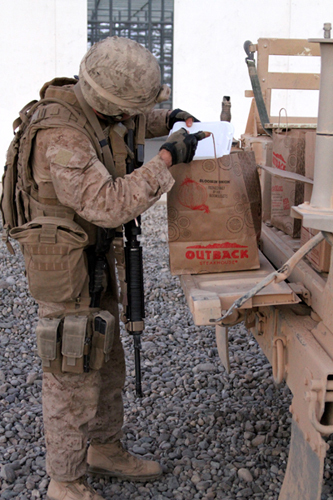 The initial Operation Feeding Freedom was in 2002 and involved a team of Outbackers who traveled to Afghanistan to feed troops stationed there. To date, over 150 volunteers from OSI have made a total of eight trips serving troops in Iraq, Afghanistan, Kyrgyzstan, Djibouti, Kuwait, Bahrain, Turkey, Qatar, United Arab Emirates and aboard the USS Nimitz in the Persian Gulf. Overall, 167,000 troops have been served at numerous bases and forward command locations. 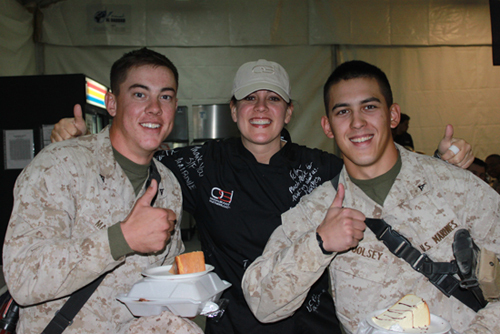 Operation Feeding Freedom is part of OSI’s ongoing commitment to support the troops. Earlier this year and with the help of its customers, Outback Steakhouse donated $1 Million to Operation Homefront, a non-profit organization providing everyday and emergency support for active troops, veterans, and their families. 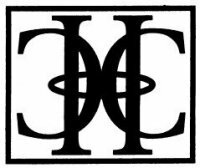 OSI Restaurant Partners, LLC, headquartered in Tampa, Florida, was founded in 1988 by a group of people who believe in hospitality, sharing, quality, being courageous and having fun! Today, the portfolio of brands consists of Outback Steakhouse restaurants throughout the United States, as well as Carrabba's Italian Grill, Bonefish Grill, Fleming’s Prime Steakhouse & Wine Bar and Roy’s Hawaiian Fusion Cuisine. OSI is one of the largest casual dining restaurant companies in the world. The company operates in 49 states and its Outback Steakhouse brand has restaurants in 22 countries around the world. Outback Steakhouse was recently voted #1 Best Steak in the 2010 Zagat Survey of National Full-Service Restaurant Chains for the second consecutive year. Outback Steakhouse starts fresh every day to create the flavors that our mates crave. Best known for grilled steaks, chicken and seafood, Outback also offers a wide variety of crisp salads and freshly made soups and sides. New creations and grilled classics are made from scratch daily using only the highest quality ingredients sourced from around the world. For more information, please visit www.outback.com, http://www.facebook.com/outback and http://www.twitter.com/outback_tonight. Johnny Carrabba and Damian Mandola founded the first Carrabba’s Italian Grill in 1986 in Houston, Texas. Today, there are 232 Carrabba’s Italian Grill locations around the country, run by passionate local proprietors focused on delighting guests with fresh, made-to-order Italian cuisine and the ultimate dining experience. Carrabba’s serves dinner seven nights a week in a casual environment that pairs innovative dishes and a complementary wine list with abundant hospitality. For on-the-go guests, Carrabba’s also offers convenient Carside Carry-Out. To learn more about Carrabba’s, please visit www.carrabbas.com. As the "Fresh Fish Experts," Bonefish Grill specializes in market-fresh fish and other wood-grilled specialties. Knowledgeable and attentive Bonefish Grill Anglers (our service staff) provide the best in what we like to call “chef’s coat service.” Our Anglers pride themselves on guiding our guests’ journey through our innovative, seasonal menu and specials, which feature only the highest-quality, freshest ingredients, including traditional and unique varieties of fish and seafood as well as numerous non-seafood items. We combine this with a big city bar that offers bar fresh cocktails and an affordable, interesting wine list. Recently named “Best Seafood” and “Top Service” category winner in the 2010 Zagat Survey of National Chain Restaurants and “Best Seafood Restaurant in the Nation” by a leading consumer product guide, Bonefish Grill has locations across the country and prides itself on the local feel of each restaurant. For more information on Bonefish Grill, visit www.bonefishgrill.com, facebook.com/BonefishGrill or follow us on Twitter via @bonefishgrill. Nationally acclaimed Fleming’s Prime Steakhouse & Wine Bar offers the best in steakhouse dining – Prime meats and chops, fresh fish and poultry, generous salads and side orders—with a unique wine list known as the “Fleming’s 100™” that features 100 wines served by the glass. Fleming’s was launched in Newport Beach, California in 1998 by successful restaurant industry veterans Paul Fleming and Bill Allen. Today there are 64 restaurants nationwide. Fleming’s is the recipient of numerous prestigious awards, including Wine Spectator’s annual Awards of Excellence, and Wine Enthusiast’s annual Awards of Distinction. For more information about Fleming’s Prime Steakhouse & Wine Bar and the Fleming’s 100, please visit www.FlemingsSteakhouse.com. First introduced in Honolulu by James Beard award winner Chef Roy Yamaguchi, Roy’s has become well known throughout the world for its Hawaiian Fusion® Cuisine featuring the freshest local ingredients, European sauces and bold Asian spices, with a focus on seafood. For more information, please visit www.roysrestaurant.com. 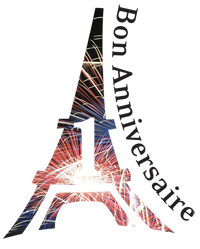 Join Chicago French Market for its “Bon Anniversaire,” a two-day celebration honoring Chicago’s first and only year-round, indoor market beginning at 10 a.m. Friday, Dec. 17 and Saturday, Dec. 18. Guests attending the celebration will enjoy free tastings throughout the market, as well as live music, entertainment and the chance to win gift certificates and prizes. Beginning at 10 a.m. each day, 1,000 guests receive a complimentary reusable tote bag, perfect for purchases made at one of the market’s nearly 30 artisan vendors. Doors open at 7:30 a.m. Friday, and 8:30 a.m. Saturday. In addition to the complimentary market-wide tastings, Chicago French Market vendors will distribute “scratch off cards” to customers for the chance to win gift certificates to the market valued at $1 to $20 to use at the market. There is no purchase necessary to receive a scratch off card. Quantities are limited to one per person. From 3 p.m. to 7 p.m. Friday, enjoy a live concert from Chicago folk artist, Andrew Calhoun. 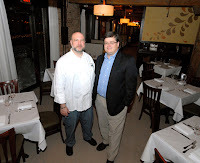 There will be a drawing at 6 p.m. for a $300 gift certificate to L2O, a Michelin three-star restaurant. There is no purchase necessary to enter the drawing, and the winner does not need to be present to win. Visit Santa Claus at the market from 11 a.m. to 2 p.m. Saturday, and enjoy a special cake cutting and refreshments at 1:30 p.m. While there will be live entertainment 11 a.m. to 6 p.m., a special performance from the LaSalle Academy Carolers will be from 1 p.m. to 2 p.m. A drawing will be held at 5 p.m. for two separate $300 gift certificate to L2O, a Michelin three-star restaurant. There is no purchase necessary to enter the drawing, and the winner does not need to be present. Chicago French Market is a European-inspired market offering an array of local produce, meats, seafood, breads, pastries, cheese, wine, chocolates, pastas, artisan-made goods, specialty drinks, flowers, prepared meals and a seating area for customers. Chicago French Market’s diverse group of local vendors stay open year-round, six days per week, and is located within the new MetraMarket development at 131 N. Clinton St. (between Washington and Randolph Streets). 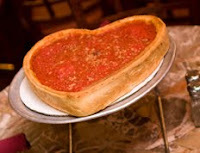 For more information, visit www.chicagofrenchmarket.com. A four-course Lobster menu for $59 per person (plus tax and gratuity) will be featured Friday, Dec. 10 at Restaurant Michael. The menu will consist of a lobster appetizer, lobster salad, lobster entrée and dessert. Restaurant Michael will be open during regular dining hours and will feature weekly jazz duo, vocalist Petra Van Nuis and guitarist Andy Brown. Reservations are required (847-441-3100). Enjoy A Candlelight Dinner on Friday, Dec. 17 at Restaurant Michael. Guests will be overtaken by a soft glow as Chef Michael Lachowicz goes from table to table carving Whole-roasted Tenderloin of Beef paired with truffle potato croquettes and classic Béarnaise sauce. Restaurant Michael will be open during regular dining hours during A Candlelight Dinner and feature live jazz duo, vocalist Petra Van Nuis and guitarist Andy Brown. Reservations are required (847-441-3100). Restaurant Michael hosts a Christmas Eve Three-Course Prix Fixe Menu Friday, Dec. 24 featuring the “greatest hits” of Restaurant Michael. Guests will choose from several options for each course for $49 per person (plus tax and gratuity) and half price for half portions for children under 10. This magical evening will feature live jazz duo, vocalist Petra Van Nuis and guitarist Andy Brown. Reservations will be taken from 4 p.m. to 8 p.m. every 15 minutes. Celebrate the New Year with Restaurant Michael’s Prix Fixe Menu Friday, Dec. 31. Reservations can be made from 5 p.m. to 11 p.m. at 15 minute intervals. Different options will be available for guests who wish to celebrate before or after 8 p.m. All guests prior to 8 p.m. will enjoy a Four-Course Prix Fixe Menu including a plated hors d’oeuvre, hot appetizer, entrée and dessert with a glass of Tattinger Prestige Blanc Brut Champagne for $72 per person (plus tax and gratuity). All guests after 8 pm. will enjoy from a Five-Course Prix Fixe Menu to include a lobster course between the appetizer and entrée course, and party favors at midnight for $88 per person (plus tax and gratuity). Live music will be featured by jazz duo, vocalist Petra Van Nuis and guitarist Andy Brown beginning at 7 p.m. until midnight. 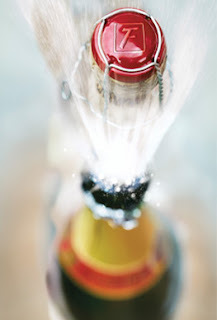 Celebrate the first day of the year 2011 at Restaurant Michael! Restaurant Michael favorites will be on hand Saturday, Jan. 1 from 3 p.m. to 7 p.m. Enjoy the Prix Fixe Menu including three courses for $49 per person (plus tax and gratuity). Restaurant Michael (64 Green Bay Rd., Winnetka, Ill.) serves classic haute cuisine in a contemporary presentation with French country flair. The restaurant is open for dinner Tuesday through Thursday 5:30 p.m. -10:30 p.m.; Friday and Saturday 5:30 p.m. -11:30 p.m.; and Sunday 4:30 p.m.-9 p.m. Call for seasonal hours. Complimentary parking is available. Major cards accepted. Be sure to “Like” Restaurant Michael on Facebook at www.facebook.com/RestaurantMichael and follow Michael on Twitter at @RestoMichael. Visit www.restaurantmichael.com for more information. 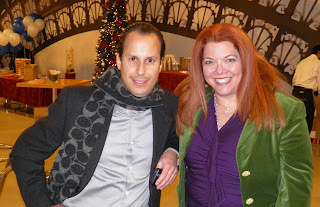 Join the River North Business Association for the "Holiday Soiree"
Join the River North Business Association (RNBA) for the “Holiday Soiree” from 6 p.m. to 9 p.m. Thursday, Dec. 9 in the Ivy Room at Tree Studios (12 E. Ohio St., Chicago). This event is open to the public and tickets, for $50 pp, include beverages, food stations, hors d’oeuvres and a dessert buffet provided by Jewell Events Catering and staffed by Prime Staffing. Guests will enjoy entertainment by professional ballroom dancers from Chicago Dance and music to dance to provided by a disc jockey from NBarin Music & Audio Productions. Ticket holders can pull an ornament from the holiday tree to win a variety or prizes from River North Business Association members. Additional information is available at www.rivernorthbusinessassociation.com. It’s that time of year, when the chill in the air and decorations on the houses say the holidays are here. 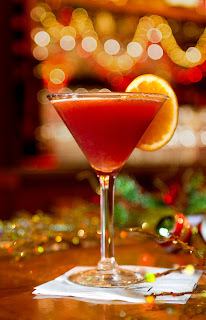 Each year, Fleming’s Prime Steakhouse & Wine Bar creates a special holiday cocktail just for the occasion. This year, Fleming’s decided to create a contemporary whiskey cocktail; something as cozy as a hot toddy, but cool and sophisticated as a martini. With Maker’s Mark, Chambord and holiday juices of cranberry, citrus and pomegranate to add tartness, Fleming’s has created the Merry Maker’s, available now through December 31 for $10.95. Join Fleming’s Prime Steakhouse & Wine Bar for New Year’s with Veuve Clicquot. 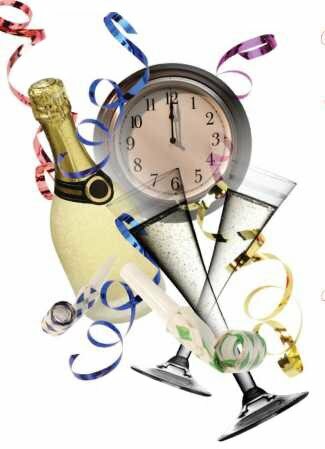 In typical Fleming’s fashion, the restaurant is going over-the-top with a three-day New Year’s celebration: Thursday, Dec. 30; Friday, Dec. 31; and Saturday, Jan. 1. Begin the evening with a glass of legendary Veuve Clicquot Champagne, $25. Then indulge yourself with a Fleming’s favorite, or enjoy a special New Year’s selection and selected wine pairing available New Year’s weekend only. Seating is limited for the three-night celebration at both Chicago area Fleming’s locations: 25 E. Ohio St., 312-329-9463; and 960 Milwaukee Ave., Lincolnshire, Ill. 847-793-0333. The New Year’s celebration menu features Filet Mignon & Crab-Stuffed Shrimp, filet mignon with Madeira sauce, two giant black tiger shrimp stuffed with crab and topped with crisp bacon, lemon garlic butter sauce, served with a butter poached Portobello mushroom, $79.95. (Suggested pairing: Rodney Strong, Merlot Sonoma County, 2006/2007); North Atlantic Lobster Tail, a colossal one-pound lobster tail with lemon vanilla butter, served with lobster mac & cheese, $59.95. (Suggested pairing: BENZIGER, Chardonnay Carneros, 2007/2008); or New York Strip & Giant Shrimp, petite New York prime steak wrapped in bacon, two giant black tiger shrimp broiled in the shell with chimichurri herb pesto, $69.95. (Suggested pairing: CATENA, Malbec Mendoza Argentina, 2008). Cost does not include wine, tax or gratuity. The nationally acclaimed Fleming’s Prime Steakhouse & Wine Bar offers the best steakhouse dining – prime meats and chops, fresh fish and poultry, generous salads and side orders – with a unique wine list known as the “Fleming’s 100” that features 100 wines served by the glass. Fleming’s is the recipient of numerous prestigious awards, including Wine Enthusiast’s annual Awards of Distinction and Wine Spectator’s annual Awards of Excellence. Learn more at http://www.flemingssteakhouse.com/. The American public’s and retail shopping industry’s perception of food courts in shopping malls will change dramatically when Westfield Old Orchard’s forthcoming open kitchens and natural market food showplace launches next year. Skokie, Illinois based Westfield Old Orchard announced plans today to develop this world-first culinary-focused dining and “green” food shopping venue which replaces the former food court, which closed on September 1, 2010 to make way for the development of the new culinary venue, with an anticipated opening in summer 2011. During the build-out period, the construction area will be surrounded by oversized graphics displaying colorful photo illustrations and renderings of the new concept, which is the brainchild of Richtree Market Restaurants Inc., a Canadian food service firm that has created innovative restaurant and marketplace concepts in a number of Canadian shopping malls. Westfield Old Orchard’s venue is envisioned as a contemporary approach to dining and food shopping that will feature a wide assortment of gourmet food stations plus a dynamic market offering organic, sustainable and natural artisan specialty foods, seasonal fresh produce and other grocery items to be enjoyed by all. "We believe that, with its multiculturalism and well-known passion for food, Chicago is the perfect city to host our first U.S. location,” said Kevin McCormack, Director of Richtree’s La rge Format Restaurants Concept. “The decision to choose Old Orchard was based on the mall’s positioning as a flagship shopping center in the Midwest, and part of a world leading property development group. Westfield's style of combining shopping with dining set the standards in the industry, and we believe we share a similar vision. With this trendsetting concept of fresh, on-stage cooking, and the fun approach to dining out, we're looking forward to welcoming our guests, and bringing the dine-in experience at the mall to a next level of innovation." The open kitchens and natural market will be arranged as a casual yet sophisticated series of food stations or “kitchens,” where all-natural food is freshly prepared before customers’ eyes. The décor will be contemporary, and there will be common seating areas with both indoor and alfresco style dining. The spacious venue will cover 22,500 square feet. As customers explore the various kitchens, they will be able to choose from a wide variety of food offerings such as seafood, pizza, fresh pasta (made on premises), fresh grill, French rotisserie, carving station, freshly smoked meats, bakery, omelets, cheese, fresh fruit juices and smoothies, sushi, oyster bar, Asian specialties, salads, desserts, pastries, gelato and coffee creations. The menus will change often (they will be presented on chalkboards), reflecting current seasonal ingredients. There will be vegetarian and gluten-free options as well. The new concept will be a great place for the whole family. Children will be excited at the large number of delicious kid-friendly items, while their parents can rest assured that the food and grocery offerings will be fresh and healthy. Westfield Old Orchard is owned by the Westfield Group (ASX: WDC), an Australian-based company with interests in 119 shopping centers in Australia, New Zealand, the United Kingdom and the United States. In the U.S., the Group has a portfolio of 55 shopping centers that are home to more than 9,000 specialty stores and comprise approximately 63 million square feet of leasable space in California, Connecticut, Florida, Illinois, Indiana, Maryland, Nebraska, New Jersey, New York, North Carolina, Ohio and Washington. 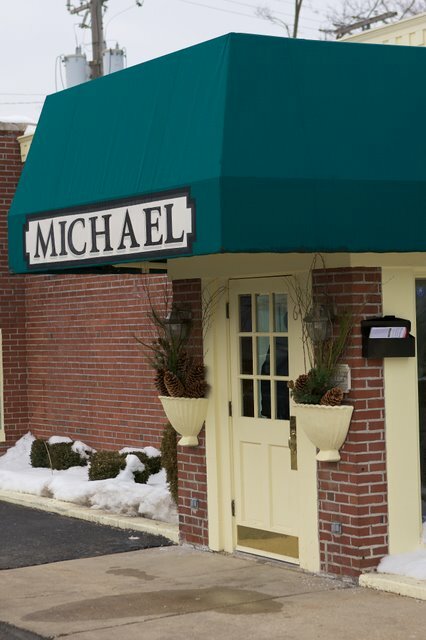 Today (Friday, Dec. 3) Restaurant Michael (64 Green Bay Rd., Winnetka, Ill.) will feature Steak Diane, personally prepared by Chef Michael Lachowicz for $29 pp (plus tax and gratuity). Restaurant Michael will be open during regular dining hours and will feature weekly live jazz duo, vocalist Petra Van Nuis and guitarist Andy Brown. Remember to indicate your preference when making a reservation. For reservations, go to OpenTable.com or call Restaurant Michael at 847-441-3100. Restaurant Michael serves classic haute cuisine in a contemporary presentation with French country flair. The restaurant is open for dinner Tuesday through Thursday 5:30 p.m. -10:30 p.m.; Friday and Saturday 5:30 p.m. -11:30 p.m.; and Sunday 4:30 p.m.-9 p.m. Complimentary parking is available. Major cards accepted. Be sure to “Like” Restaurant Michael on Facebook at www.facebook.com/RestaurantMichael and follow Michael on Twitter at @RestoMichael. Visit www.restaurantmichael.com for more information. What better way to cheer on this year’s winning BEARS than with a glass of fine wine and delicious tasty food from the Bella Bacinos LaGrange kitchen (36 S. LaGrange, 708-356-8882). Better yet, enjoy the game, have brunch and finish your holiday shopping at the same time! Join in the fun beginning at noon, Sunday, December 5 as the Chicago Bears take on the Detroit Lions. Brunch selections off the menu will be available. The wine sale begins at 2 p.m. and runs until 5 p.m., with a light fare and artisanal cheeses being served for $20 pp plus tax and tip. Owner Dan Bacin has a personal relationship with many of the world’s top vintners. Oenophiles are big fans and now we’re letting you into the club. This holiday season, the restaurant is opening its cellar, offering an amazing selection of more than 40 wines at wholesale, in every price range and varietal. Also available for sale, Riedel stemware and decanters and, and Dan’s personal favorite, the Vinaturi Aerator, a most useful stocking stuffer. 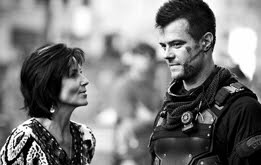 Come as you will and leave when you want. RSVP’s aren’t necessary but if you wish, call Dan at 708-420-9600 or send an email to bacinos@comcast.net. Bring your children and get in the holiday spirit with FREE cookie decorating at Chicago French Market this Saturday, Dec. 4, 5 p.m. to 6:30 p.m. Stop by the market common area for some creativity, cookies and fun! Join Pastoral 5 p.m. to 7 p.m. Thursday, Dec. 9 for a complimentary wine tasting of the Omrah Unoaked Chardonnay from Australia, the Hedges CMS Red Blend from Washington State and the Robert Sinskey POV Meritage from California. This December Pastoral celebrates the “12 Days of Pastoral,” its way of giving back to customers and the community through random acts of kindness. On each day beginning Saturday, Dec. 11 through Friday, Dec. 24, one lucky, random Pastoral customer receives a gift from Pastoral. Contact Pastoral at Chicago French Market for details at (312) 454-2200. City Fresh Market is offering a number of seafood and meat specials at Chicago French Market, now through Saturday, Dec. 11. Seafood selections include Whole Rainbow Trout $3.99/lb., Tilapia Filet $3.99/lb., Smoked Salmon $9.99/lb. and Steelhead Salmon $7.99/lb. Meat specials include Hot Italian Sausage $2.49/lb., Panko Parmesan Breaded Chicken Breast $4.49/lb., Chimichurri Marinated Pork Tenderloin $7.99/lb. and All Natural Texas Rib-Eye Steak $11.99/lb. Call-in orders are welcome at (312) 575-0230. Fumare Meats & Deli has a number of December specials including Smoked Pheasant $9.99/lb, Smoked Goose Breast $23.99/lb., Goose Liver Sausage $13.99/lb., Swedish Potato Sausage $6.89/lb. and Andouille Sausage $8.99/lb. Fumare is now taking orders for holiday get-togethers. Whether it’s a large client presentation, or simple gathering of family and friends, Fumare is the perfect solution. Fumare recognized a need in the downtown Chicago area for kosher products. Last month, Fumare began offering pre-packaged kosher items including coffee cake, fresh breads, salmon and more. Be sure to call Fumare before your visit to see what the day’s kosher offerings are. Stop by or call Fumare Meats & Deli at Chicago French Market at (312) 930-4220. Receive a free cup of imported Mexican coffee with a breakfast purchase at Buen Apetito Taqueria. Known for its fresh, top quality ingredients, Buen Apetito’s breakfast offerings include a Breakfast Burrito, chorizo and egg or veggie filled wrapped in option of flour, spinach, tomato basil, southwest chili, whole grain or wheat tortilla ($6.25); Scrambled Eggs with Spanish Potatoes and Tortillas ($5.25); Chorizo Tacos with scrambled eggs and spicy Mexican sausage ($6.25); Huevos Rancheros with eggs sunny-side up or over-easy with Mexican ranchero sauce ($5.50); and a Spanish Omelet with green pepper and tomato ($5.50). Also try Buen Apetito’s authentic Mexican hot chocolate ($2). Contact Buen Apetito at Chicago French Market with questions at (312) 234-9600. Produce Express is accepting orders for custom-made and grab-and-go fruit baskets for the holidays. All baskets are $25, and orders can be placed at Produce Express. Stop by Produce Express for one of their new, freshly-made salads featuring housemade vinaigrettes. The farm-fresh vendor is also now offering grab-and-go fruit salads. Contact Produce Express at Chicago French Market for details at (312) 454-4540. 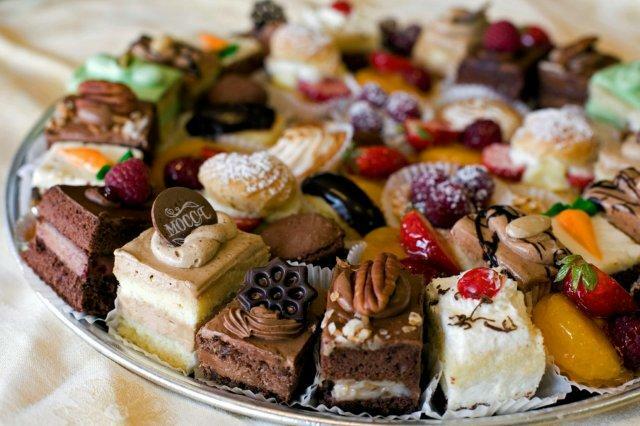 Delightful Pastries, specializing in authentic European pastries, offers a number of seasonal pies, cakes and goodies for holiday parties or hostess gifts. Selections include Pecan Pie ($24), Banana Cream Pie ($24), Italian Ricotta Cheesecake ($25), Chocolate Mousse Mississippi Mud Pie ($35), Cookie Tray ($30) and more. Savory treats include Potato Pie ($30), Vegetable Quiche ($42), Spinach Lamb Pie ($56) as well as a number of traditional Polish savory items. Another promotion at Delightful Pastries includes a free Lemon-Cranberry bar with the purchase of three bars. (variety of flavors). Place holiday orders at Delightful Pastries’ Chicago French Market location at (312) 234-9644. Pre-order holiday gifts from Sweet Miss Giving’s for pick up at Chicago French Market, and receive one free cookie of your choice. Offer valid for orders of $25 or more. Contact Sweet Miss Giving’s at (312) 575-0212. Award-winning Vanille Patisserie offers traditional holiday Buche de Noel in mocha or red velvet flavors $40 each. A modern Buche de Noel (entremets style) with Chocolate Mousse, Vanilla Bean Cream and Chocolate Cake is also $40.The yule log treats serve 10-12 people each. Also for the holidays, Vanille Patisserie offers Galette Des Rois, a crispy puff pastry filled with baked almond cream with a French trinket inside, and a golden paper crown $30. Serves 8-10 people. Other selections include 24-piece assorted Petit Four Box ($32), White Chocolate Peppermint Bar ($9/bag) and Vanilla Bean Sugar ($8 8 oz jar, $22 1 lb.). Contact Vanille Patisserie to place an order (312) 575-9963. It’s Christmas. Don’t forget the Chocolate! Delight your special someone this holiday season with a box of luscious, hand-made chocolates from Canady le Chocolatier. Christmas chocolate suggestions include Amerena Ganache, Crème’ de Tiramisu, Pistachio Truffles, Red Pepper Truffles, Mint Truffles and Cheesecake Truffles. Contact Canady Le Chocolatier at Chicago French Market to order in-person or at (312) 454-8700. 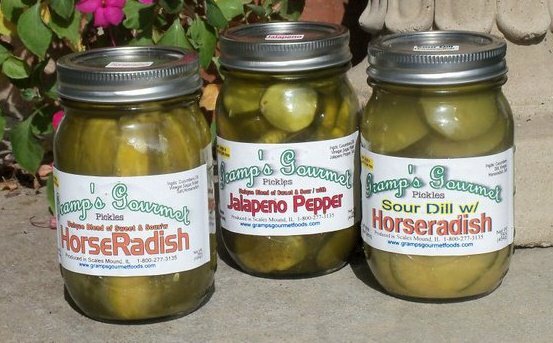 Gramp’s Gourmet Foods, specializing in gourmet pickles, suggests Gramp’s Sour Dill Pickles and Gramp’s Pickled Beets this holiday season. Gramp’s Gourmet Foods will make specialized gift baskets, perfect for teachers, stocking stuffers or hostess gifts. It is Gramp’s goal to create unique handcrafted foods that evoke memories of family, fun and simpler times. Contact Gramp’s Gourmet Foods at Chicago French Market for more information at www.chicagofrenchmarket.com/vendor/gramps_gourmet_foods. On Christmas Eve and New Year’s Eve, Chicago French Market is open 7 a.m. to 6 p.m. The market is closed on Christmas Day and New Year’s Day.